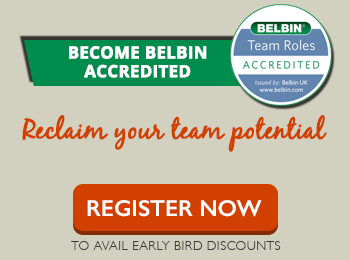 Our deep understanding of human behaviour and team dynamics and our expertise in applying Belbin Team Roles has allowed us to redefine in an impactful way strategic processes such as coaching, pipeline leadership development, succession planning, role alignment and identifying training needs/ support. Listed below are the broad areas that organisations have applied the Belbin Team Role learnings to. Managing Diversity- Team Role theory helps prepare teams and individuals understand the dynamics in working relationships between boss and subordinate and between colleagues. Knowledge of team role chemistry helps in understanding differences, appreciating strengths, bringing to notice and addressing possible issues so as to build strong working relationships. Team construction- Be able to form project teams that are balanced in terms of team roles and thus have the best chances of succeeding and producing outstanding results. Assigning roles in a manner wherein strengths are emphasized and individual weaknesses are managed becomes a reality. 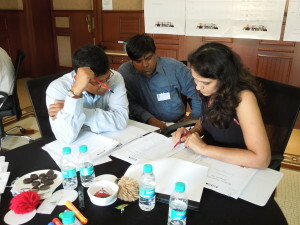 Team building- Belbin Team Roles is extensively used to enhance team performance and managing of projects at all stages. Team Role understanding and reports provide valuable information on how each member contributes to a team and also in the team realising what Team Roles are required for success of the team at various stages. Coaching– Belbin Reports and understanding of Team Role chemistry provides valuable input for one to one counselling and coaching of employees. Identification of development needs. In matching an individual to a job, the Belbin reports can highlight areas that the individual may need assistance in, inorder to effectively fulfil requirements of the job. Note, these are behavioural characteristics that will be highlighted and not functional competence of the job. Onboarding- Inputs on the Job through the job reports provide individuals with an understanding of what is required on the job and how one can align their contributions manage their weaknesses such that the job is completed to the required expectations and standards. Career progression/ succession planning– Individual Team Role reports in conjunction with the job reports can help identify the various roles within the organisation wherein the person is likely to flourish. Recruitment– Does the candidate prove to be a good fit? One of the most empowering applications of the Belbin Team Roles is to check for a candidate’s suitability and compatibility for a job. A report detailing the aspects that the candidate is likely to do well in and aspects that the candidate may have a challenge delivering in is pointed out.